I have just been told by local residents that last night a car was stolen from Merlin Avenue and two scrambler motorcycles were stolen from nearby Kestrel Avenue in Saughall Massie. Please make sure that you take every precaution to protect your property. More than 400 long serving members of staff at Wirral Council have been told to return their retirement gifts in a letter received over the Easter weekend. Employees with 25 years’ or more in local government service are given a ‘Passport for Life’ by the Council as their retirement gift. The ‘passport’ gives them free use Council-run golf courses, fitness suites, leisure and recreation centres. In January 2016 Conservative Councillors questioned the evidence for the move, specifically asking how much of the overall saving by removing a range of ‘leisure concessions’ was attributable to staff. Councillor Chris Blakeley said: “The double standards are breath taking. Senior directors are walking away with cheques for thousands of pounds, yet some of the lowest-paid but longest serving staff are now being told to return their retirement gift. “Can you imagine any other employer basically going into someone’s living room and removing the pensioner’s carriage clock? Over the last week or so fly tippers have been busy dumping their unwanted rubbish in Carr Lane, Moreton. There are three instances, old carpet in one location, garden waste/turf in another and close by to that there are bags, debris and an old gas bottle. Why people simply can’t take their unwanted items to one of the recycling centres is beyond me, instead they would rather pollute our environment. I have asked the Council to clear it ASAP, and consider installing CCTV at this location. 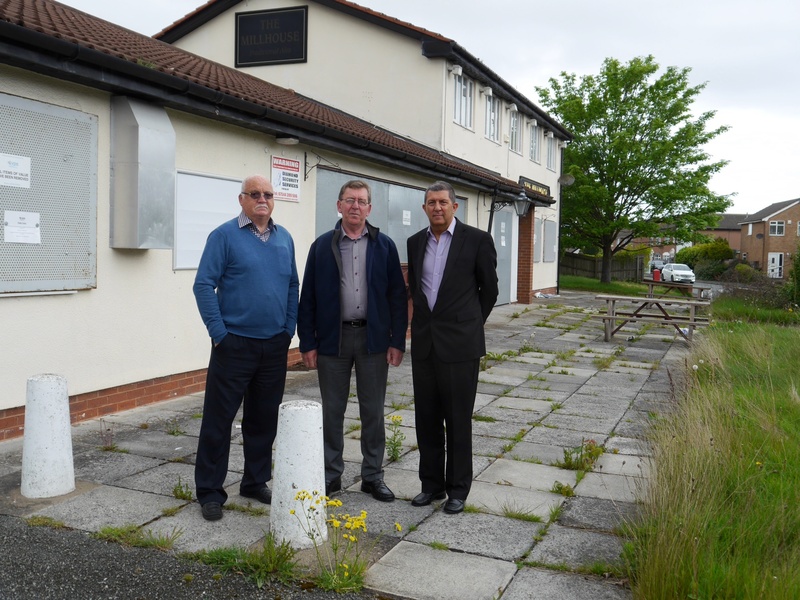 Following concerns raised by campaigners fighting to save Girtrell Court, the Mayor of Wirral, Cllr. Les Rowlands, has agreed to calls for an extraordinary meeting of all 66 councillors. The demand for the meeting followed concerns that public statements from members of Wirral’s Cabinet were confused and, at times, contradictory. Cllr. Chris Blakeley said: “In the last 14 days, we have been told, ‘yeah, but no, but maybe’ by the Cabinet Member for Adult Social Care and Health over the future of Girtrell Court. “At the same time, the Leader of the Council pledged to be open and transparent only to then delegate the decision to the Cabinet Member and Director, out of public view and with no reference to the rest of his Cabinet. Councillor Blakeley has now emailed the Head of Law to seek confirmation of the date of the meeting and to ensure that notice is given to petitioners, families, staff and unions.